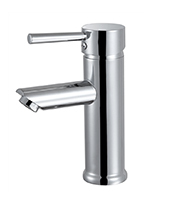 Villa Modern Vanity Bathroom Set Left Sink 47"
Name: Villa Modern Vanity Bathroom Set Left Sink 47"
Villa Modern Vanity Bathroom Set Right Sink 47"
This beautiful single sink Modern Bathroom Vanity is ideal for any size bathroom. It's unique style captivates its extraordinary elegant Modern feel. 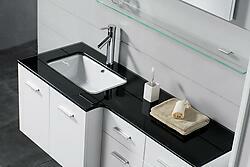 A spacious black glass square countertop allows for a comfortable experience every time. 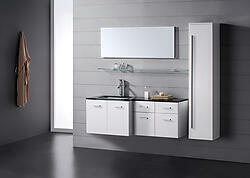 Included is a stylish ceramic wash basin to complete this Modern Bathroom Vanity Set. Included solid Rubberwood main and side cabinets provide plenty of flexible storage.